Even though my kid wachted the movie she really enjoyed reading this one!! The book was in excellent condition! It was exactly what I wanted! Yet another masterpiece by Sparks. I absolutely loved this book, and it goes in the long list of loved books by Sparks. You'll completely love it. It'll keep you on the very edge of your seat. 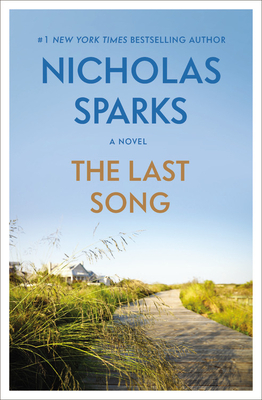 LOVED THE BOOK " THE LAST SONG"
I HAVE READ ALL OF NICHOLAS SPARK'S BOOKS AND ESPECIALLY LOVED THIS ONE , ESPECIALLY SINCE IT WAS BASED ON HIS LIFE. As usual, Sparks writes a heart-warming story about young love and the love between parents and children. Although it was predictable in many respects, it was still a sweet story. It almost seems that Sparks is writing with a movie deal in mind. Overall, though, I'd recommend it. As usual for Sparks, who is a southern boy, all of his characters are white and they don't seem to know or even come across any one from any other group.